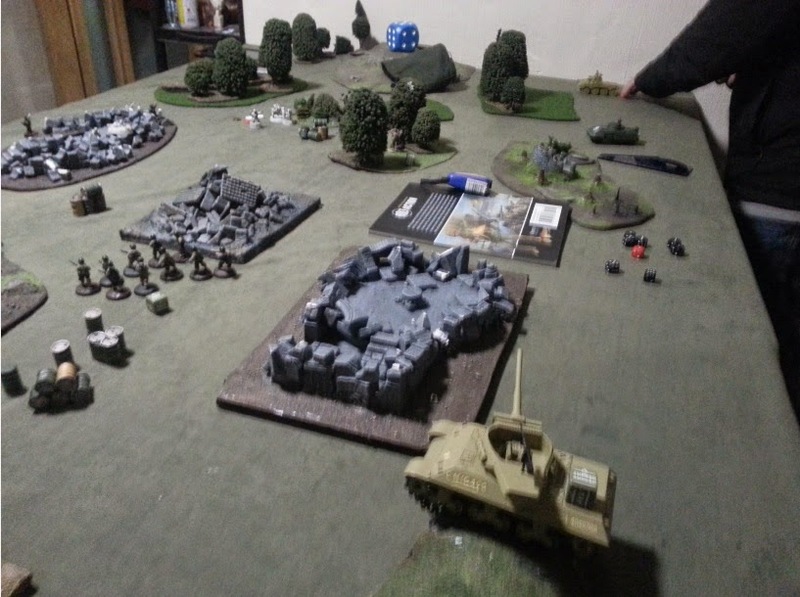 Myself and Justjohn have decided to take part in a bolt action 1000pt league run by our local gaming store, The Gathering. I kicked off the league with a game against one of the local historical gamers, Simon. 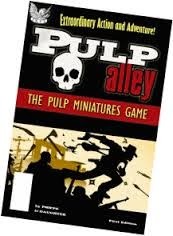 Most people seem to be taking part in the league to give people a better grounding in the rules, test out their shiny toys and to motivate everyone to paint up their models, rather than being a truly competitive league. I play Waffen SS in bolt action, I love the warlord metal miniatures and have a good sized force. All I need is the extra little bits and pieces to round off my collection. I was attacking and the objective was to get off the American table edge. 1VP for each of his units killed, 2VPs for every unit in his deployment zone at game end and 3VPs for every unit that leaves off his table edge. The US objective was to stop the German forces, 2VPs per kill. Simon deployed all his units on the table with an infantry unit and vehicle on each side, support units in the middle and HQ on the left. I then set up my sniper and mortar observer for good LoS. The Hanomag with 2 6 man infantry squads onboard and the Puma both outflanked to the left. The Germans forgot to wait for their preparatory bombardment and advanced on to the table into the waiting fire of the Americans (i pulled all my dice first) who began to quickly stick pin markers on the German infantry units before they had chance to react. The German sniper took out the US mortar and the M36 managed a lucky hit (3 6's in a row), taking out the German MMG team. The Americans had the initiative early on (Simon pulled all 6 of his dice before any of my 9! 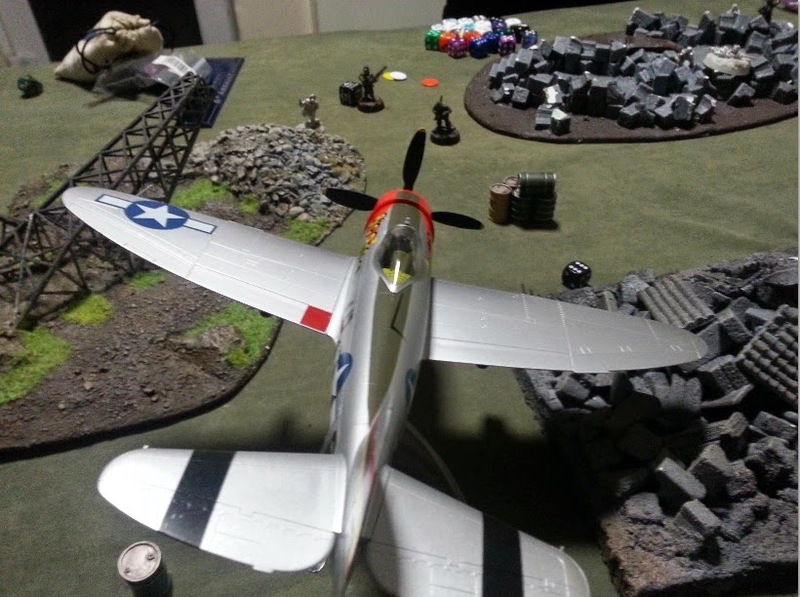 ), their air support came on to the table inflicting pins on the rifle/AR unit and sniper and the ground attack fighter mowed down 5 infantrymen caught in the open, despite them hitting the dirt (10 hits for Simon, halved for me being down. All 5 wounded the veterans!). The US infantry and armour opened fire while advancing, pinning both German infantry units down and reducing the recently strafed unit to just the NCO. The Germans in return managed to snipe a sergeant out of one of the US units but otherwise hit the dirt. The Americans, sensing they had the caught the Germans on the back foot advanced allowing the German mobile outflanking units to come in behind them on the left. Firstly the Puma closed to point blank with the American armoured car but failed to penetrate and then the Hanomag arrived, infantry clambering out the kill the US Lt and his accompanying riflemen. The US forces poured more fire into the German infantry, laying on pins but not killing many. The 2 infantry units got back in their transport, while the rest of the Germans provided covering fire. The puma failed to penetrate again and sought cover behind woods after being targeted by the large M36. The veteran US infantry closed on the single surviving NCO, opening fire but failing to wound. 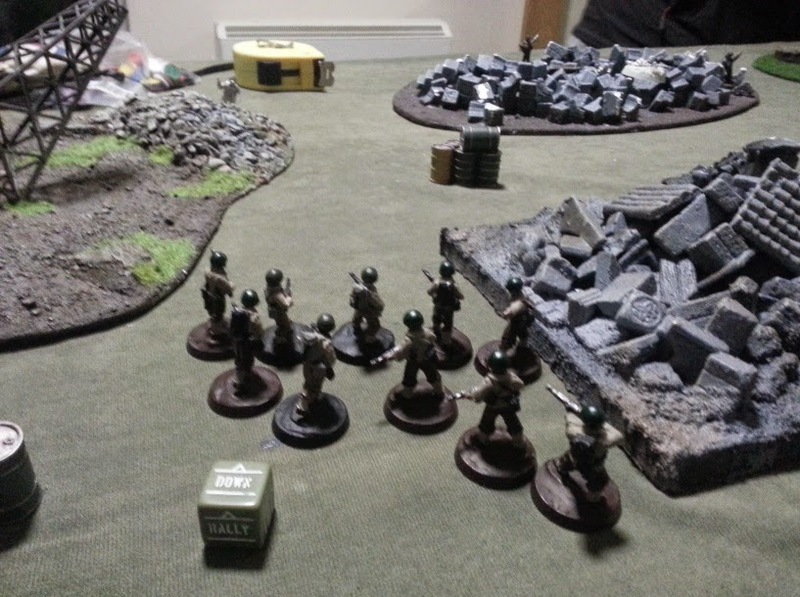 The lone sergeant managed to pull himself together and rally while the German infantry unit on the left hunkered down after taking fire from the armoured car and the nearby US infantry took cover after the sniper killed the BAR carrier. The Hanomag swiftly departed behind the US lines, too fast for the M36 to stop. Unfortunately the puma wasn't so lucky, getting stunned in the US deployment zone as it tried to retreat. The surviving NCO ran into cover to hide while the German and US infantry units on the left exchanged fire to little effect. The game ended there due to time constraints. 13-2 win for the SS forces, mainly due to getting 3 units of the table in the final turn, which gave 9VPs and the puma being in the US deployment zone. It was a lucky gamble hoping to get the first dice of the turn for the Hanomag but with 9-5 dice in my favour I had good odds and it paid off. All in all a good first game for the league!